How much plastic is being recycled, how much is being incinerated, and how much ends up discarded as waste on landfills (or eventually in the oceans)? 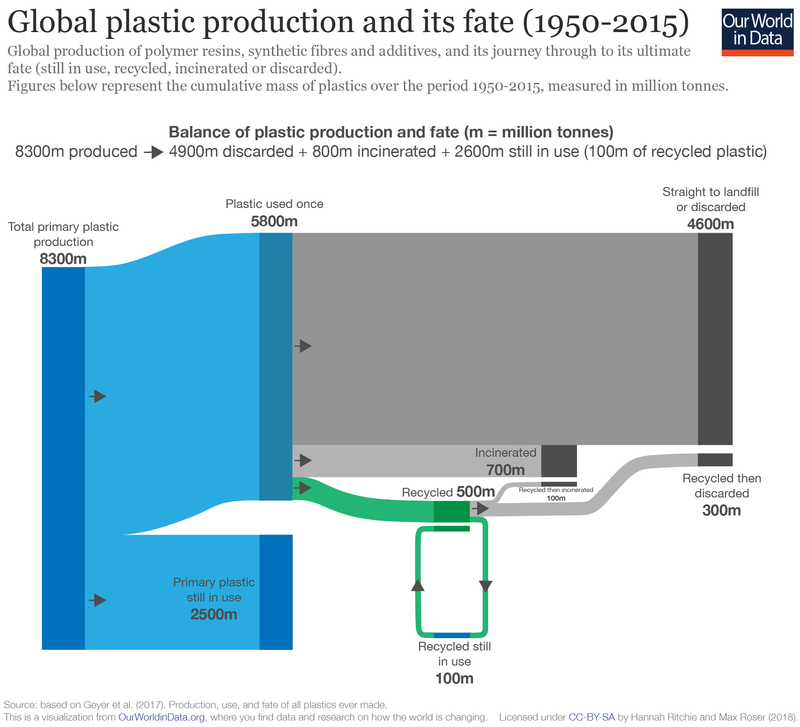 This Sankey diagram shows the paths that 8300 million tons (or 8.3 billion tons) of plastic produced since 1950 have taken. Figure (licensed under CC-BY-SA) by Hannah Ritchie and Max Roser at the great ‘Our World in Data’ website under the ‘Plastic Pollution’ topic.